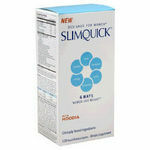 I tried this product to try and help curve my appetite and boost my energy, but I didn't see a change in anything. Green tea contains a variety of enzymes, amino acids, carbohydrates, lipids, sterols, related compounds, dietary minerals, and phytochemicals such as polyphenols, flavanols, and caffeine. I have actually tried this product twice due to other people saying it works and the availability and accessibility of this product. The first time I tried it, I felt nothing. Absolute nothing. I only want to lose maybe 5 - 10 pounds. I am overall in great shape. I run 20 miles a week, workout 7 days a week. So when the hype of this product is that it helps lose weight in addition to diet and exercise, I thought, "that's a perfect fit". So after I finished the first box, I stepped on the scale, not one pound different, sighed, and threw the box in the trash. I tried again after a couple months and thought I would give it one more chance. Again, nothing. I know some people comment on the jitters as a side effect, I didn't even get a slight tremble. But I must admit, I am an avid caffeine drinker. Energy drinks and coffee are as essential in my diet as water. So ultimately, I think the major problem lied in that I already consume enough caffeine and essentially these are mostly caffeine pills so they were ineffective for me. I bought this fat burner pill since the green tea supplement is suppose to be a bit healthier for you. It worked as stated, giving me a pretty good amount of extra energy through out the day. The only issue I came across was trying to get to sleep at my usual time for the first week. Other than the loss of sleep, it helped me cut a solid 15 pounds of fat in two months with diet and exercise. I would say it's almost like a pre-workout supplement when you first take it. I found it went pretty smoothly when I would work out right after I took it. Effectiveness It give me the jitters the first few times I took it. I really didn't mind it since it increased my energy through out the day. Side Effects The only issue I have with this supplement is when you first start taking it it's really hard to get to sleep if you don't take it early enough. I had some serious jitters due to the extra amount of caffeine in it. I really didn't mind it since I was much more productive through out the day. 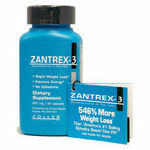 This product helped me lose over fifty pounds. I take the maximum recommended dose of two pills in the morning and two pills in the afternoon. I have also followed a lower carb diet. The naturally occurring caffeine also gives a great energy boost throughout the day. I had friends who have used this product before and have told me how it helped them shed some pounds so I thought id give it a try and I was disappointed. Thought I was going to get boost of energy with this but I would've gotten the same energy without taking this product. I don't feel the thermogenic effect compared with other products I have tried. There are other products out there that would work. Although everyone's body isn't the same and it may work on some and not others, I won't be taking this product ever again. Effectiveness Didn't get that extra boost energy feeling that I was expecting. Don't know if the fat burning part kicked in or not but I was not able to lose any weight taking this. Side Effects Didn't get any side effects with this product. I would be expecting some kind of fat burning sensation but I didn't. It didn't leave me up all night. I was able to take it any time of day and be able to sleep at night as well. I bought these pills as I wanted to finally find something that worked. I read the reviews and some sounded good so I decided to try them. You can lose weight with these as they do curb your appetite and give you added enegy. However the energy comes from the amounts of caffeine and if you cant have caffeine for one reason or another including palpitations of the heart, don't take it. I started to notice that my heart was beating irregularly due to the high caffeine content. I was jittery and shaky and it was a horrible feeling. I took them for several days and had no hunger pangs so they did work that way. If you are sensitive to caffeine and its effects, do not take these. If caffeine does not bother you , then these are worth a try. To me, they were not worth the side effects. 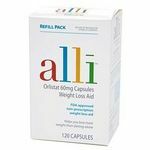 They cost about 15.00 which is cheaper than some other diet pills but not worth it to me. The side effects outweigh the effectiveness of the product. I would not suggest taking them for a long time. I have previously in the past purchased and used these Applied Nutrition Green Tea Fat Burner pills and I am so happy they were on sale when I purchased them because they really did not help me to lose weight. I do believe that these pills did give me a little extra energy which in turn may of burned some calories but not enough to notice. Unfortunately for me personally it seems that green tea gives me the nervous shakes and i really hate that because green tea is supposed to be an excellent antioxidant. 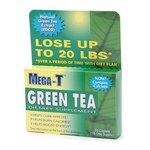 I would suggest if you are not sensitive to green tea that this is a good product that is reasonably priced that just may help you lose a few calories but has the added benefit of helping to keep away cancer and other diseases so I gave it a five because there are benefits even if it is not for losing weight. 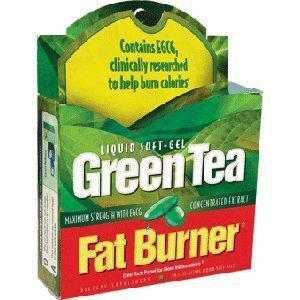 I would certainly recommend these Applied Green Tea Fat Burner pills to anyone who is looking for added health benefits. This is a good and affordable supplement you can take every day. I don't think they burned any fat though like they said they will. This product has curbed my appetite as promised, but I initially started getting bad headaches from taking this. I was drinking plenty of water but no matter what I done the caffeine in here comes in such high doses it made me sensitive to caffeine. This curbs my appetite great sometimes its hard to even eat, I take a few bites and I'm full by then. I did give these supplements up because of the caffeine. I found it better just to drink actual green tea. Thats healthier and better than these caffeinated pills. If you don't mind the feeling of being wired than you can give these a try. There just suppose to give you a lot of energy so you have motivation to work out or just to not be lazy. By doing that you'll burn weight off, as always diet and exercise are always recommended when taking something like this. These capsules are very large and hard to swallow. It does take a lot of time to see fat loss results but thats just my body, and I only took one a day before I gave up on the bottle. I tried Applied Nutrition Green Tea Fat Burner because I knew that Green Tea has a lot of positive health effects so I figured it would be a win-win - even if it didn't help me lose weight I would benefit from the Green Tea properties. I lost about a pound quickly at first but I also dieted and exercised. I didn't know about any side effects from green tea but soon found out that it can dehydrate you. I ended up getting dehydrated which led to headaches. After I started drinking more fluids I was fine and did not get any more headaches. I did feel like I had more energy. The Greet Tea Fat Burner didn't do anything to help with my hunger and cravings though and I didn't want to take any other supplements with it. I took it for about 3 weeks and unfortunately, although I felt good, it didn't seem to help me lose any weight except for the little I lost at the beginning. And when I stopped taking it, and I did keep dieting and exercising, I gained that pound or two back so I think it was just water weight I lost.